The only bright spot in the otherwise dim evening belonged to Torres, who had a pair of walks to go with the homer. Well, that wasn’t supposed to happen. 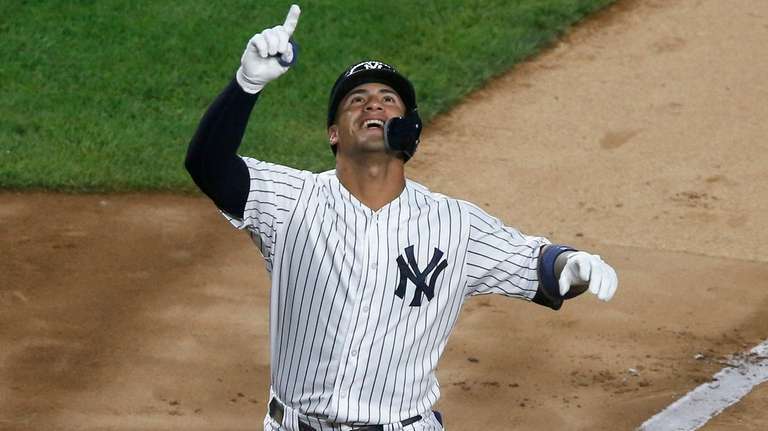 One minute, Gleyber Torres has 41,456 fans in the Bronx on their feet, marveling at Monday night’s 444-foot homer onto the Monument Park netting. The next, Masahiro Tanaka is getting throttled by the White Sox, a 51-79 team playing out the string, considered to be little more than a speed bump on the Yankees’ race to catch the Red Sox in the American League East. Credit Chicago for Monday’s 6-2 victory, and also ruining the narrative, because after the weekend sweep at Camden Yards, the Yankees looked ready to turn September into a full-fledged division race. That’s what made this loss — only their second in 10 games — such a buzzkill. After chopping 4 1/2 games off the Red Sox’s lead in the span of eight days, the Yankees’ momentum evaporated in the span of a few hours. Torres’ blast was one of just three hits as Aaron Boone’s all-righty lineup, featuring Luke Voit’s debut in the cleanup spot, failed to inflict damage on White Sox starter Carlos Rodon. The Yankees also made three errors, which Boone blamed on “sluggishness” attributed to a long road trip, and arriving home from Baltimore in the wee hours Monday morning. The only bright spot in the otherwise dim evening belonged to Torres, who had a pair of walks to go with the homer. And he was one of the few Yankees to adequately play his position Monday night. Torres already had four errors in eight starts, but there’s one surefire way to turn down the volume on that discussion, and that’s to have his bat drown out the conversation. It’s certainly worked for fellow rookie Miguel Andujar, who’s outperformed expectations with his glove at third — not that people bring it up very much anymore when he’s crushing the ball at this pace. So Torres gave it a try in the fourth inning, bashing an 85-mph changeup from Rodon halfway up the centerfield netting. The two-run shot briefly gave the Yankees the illusion of this night turning out differently. Also of note: It was Torres’ 20th homer, and with Andujar’s 21, this marked the first time in franchise history the Yankees boasted a pair of rookies with 20-plus home runs in the same season. Overall, it’s been done 10 times, and previously by the 2008 Reds, who featured the debuts of Jay Bruce and Joey Votto that year. For Torres, it probably felt nice to wipe away any lingering frustration with that swing, and he’s made up for some lost time recently, hitting safely in nine of 11 games at a .359 clip (14-for-39, 2 HRs). “I’m feeling comfortable again,” Torres said. Both Torres and Andjuar have been leaned on heavily this season, despite their rookie status, and that’s only going to increase as we get closer to September. With Torres, it’s been twofold, as he’s yo-yoed up and down the lineup, missed three weeks with a hip strain, then was forced to move across the diamond to replace the injured Gregorius. That’s a lot for a 21-year-old, so there’s obviously going to be growing pains. Some of those surfaced recently with his spotty glovework, but he’s appeared to be unfazed by the missteps. As for Andujar, he’s carried the Yankees at times this season, something that no one figured he’d need to do or even be capable of. During the four-game sweep of the Orioles, Andujar went 9-for-19 with a home run and six RBIs. Since the All-Star break, he was batting .357 with 10 doubles, nine homers and 33 RBIs in 35 games before Monday’s 0-for-3 performance. While certainly capable of being the Yankees’ offensive engine, Andujar can’t do it alone. 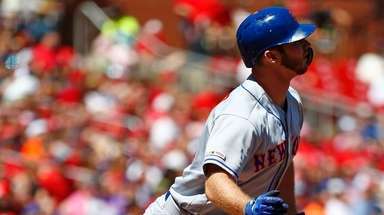 He could use some assistance from the veterans not currently occupying the disabled list. Giancarlo Stanton, still sitting on career homer No. 299, went 0-for-4 Monday with two strikeouts, dropping him to .143 (4-for-28) over his past seven games. But there was plenty of futility all-around on a night that has got to be flushed by the Yankees as quickly as possible.